Pete will also teach a 1-day workshop on Saturday, October 20 from 9-4. Pete Morris is passionate about watercolor and has been painting for more almost 30 years. 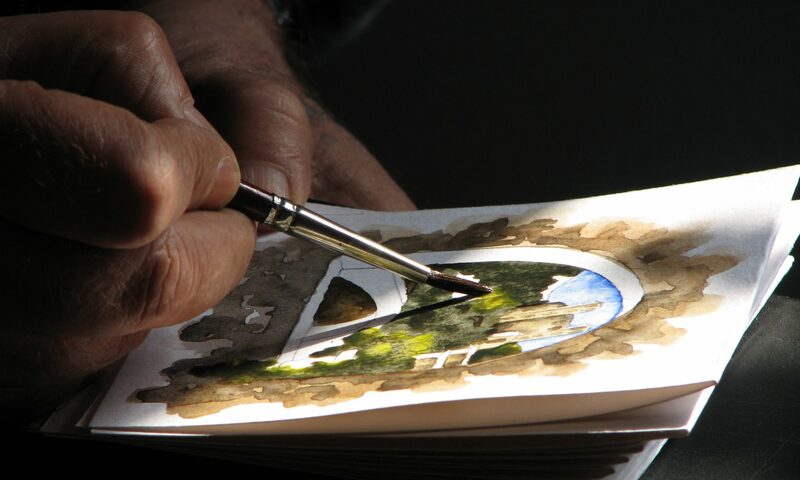 About 10 years ago, he decided to try to paint every day, and he has followed through on that to the present. He paints plein air scenes, portraits, live paintings of musicians as they play, and scenic watercolors done in classrooms and in his studio. 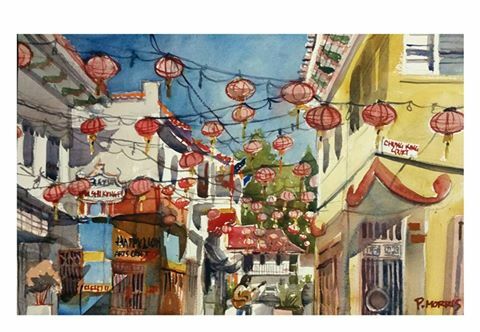 He teaches at least 4 watercolor classes a week and a drawing class called Drawing from Observation. Pete is perhaps best known for his extensive sketching of people on the Metro Trains. See Pete in action on YouTube: Metro Da Vinci. Pete exhibits his work at various shows throughout the year, in both group and one-man shows. Keep up with his classes and shows at his Facebook page. 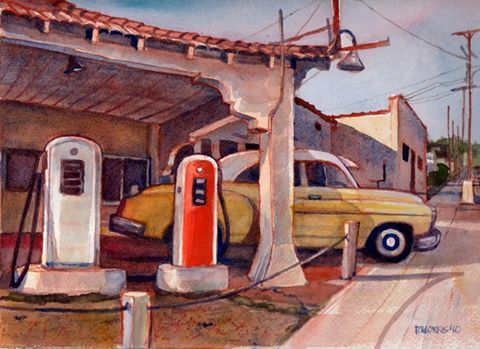 Pete’s published books, which are collections of his work, are: Curbside L.A., Riding the Metro, Pete Morris: An Artist in the O.R., and Route 66 Watercolors. Visit Pete on his website.